Well, here we are! I haven’t blogged regularly for about two years, but I am back. It’s good to be back! 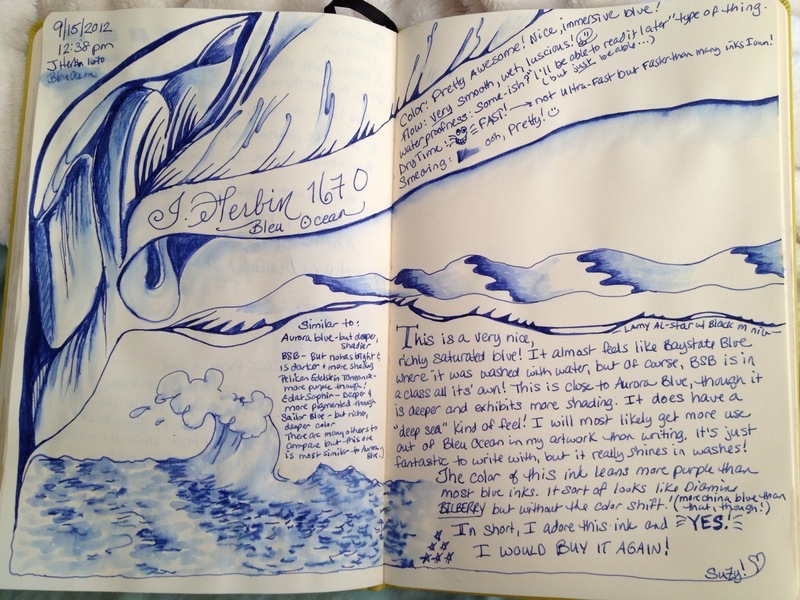 After winning August’s Ink Drop Contest, I decided to head over to Goulet’s and make J. Herbin 1670 Bleu Ocean my prize! Without further ado, I present my review. Thanks for reading & comments are welcome!